2017 marked another record trading year for leading ferry company Stena Line across its travel and freight services. Freight volumes on its Belfast to Cairnryan, Liverpool and Heysham routes exceeded a record 514 000 units, which represents a 3% year on year increase. Car volumes topped 360 000, a 2.5% year on year increase with over 1.5m passengers accounting for a similar 2.5% annual increase. Coach traffic delivered the biggest increase at 10.5% underscoring Belfast’s ongoing tourist boom. 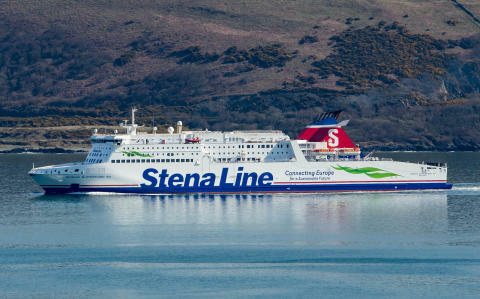 Stena Line’s Belfast services have been growing significantly over the last five years with a 15% growth in car volumes, a 13% rise in passenger numbers and a 19% increase in freight traffic. A programme of ongoing investment in its ports and ships has been a key factor in this success and today Belfast represents Stena Line’s largest operational hub with seven ships providing up to 22 daily crossing options. Paul Grant, Stena Line’s Trade Director (Irish Sea North) said: “Whilst Stena Line has delivered a record performance in 2017, we will continue to focus on providing even higher levels of customer service in 2018 which is why we will be investing a further £500k in the upgrade of our onboard passenger facilities this spring. Stena Line is the largest ferry operator on the Irish Sea, offering the biggest fleet and the widest choice of routes between Britain to Ireland including Belfast to Liverpool and Heysham, Belfast to Cairnryan, Dublin to Holyhead and Rosslare to Fishguard routes, a total of 228 weekly sailing options between Britain and Ireland. Stena Line also offers a direct service from Rosslare to Cherbourg with three return crossings a week. NOTE TO EDITOR: For further information please contact Lawrence Duffy of Duffy Rafferty Communications on Belfast (028) 9073 0880.